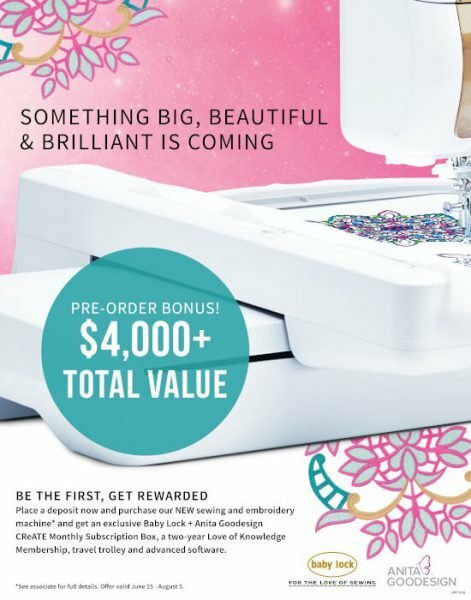 PRE-ORDER THE 2018 SEWING/EMBROIDERY MACHINE HERE! 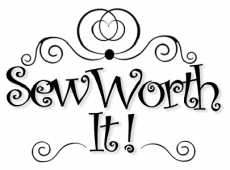 I agree to the terms and conditions for the Sew Worth It! Pre-Order Promotion of the new BabyLock 2018 Sewing/Embroidery Top-of-the-Line machine. 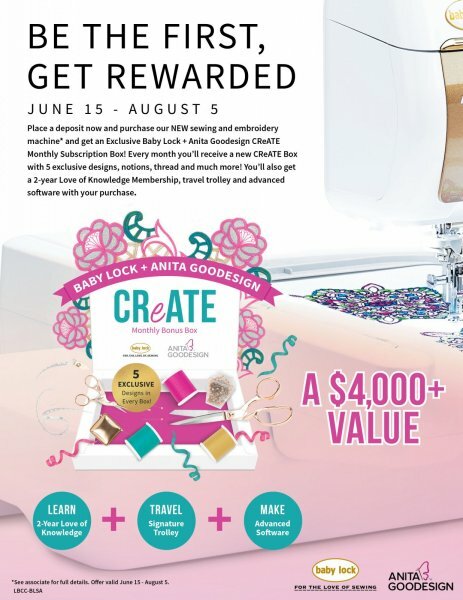 By submitting the $500 refundable deposit to SWI, I understand that according to the date/time of the submitted Pre-Order Form and Deposit, this holds my place in line when the machines become available should I decide to purchase the new BabyLock 2018 Sewing/Embroidery Top-of-the-Line machine. You will be notified when information is available (price and/or features and delivery) and you will need to decide whether to purchase the new machine or have the deposit refunded. The paid deposit is non-transferrable. IF TRADING-IN, WHAT MACHINE WILL YOU BE TRADING-IN?